Daffodils and Dandelions Sunny Side Up! Springtime's favourite flowers, a weed is just a flower in the wrong location. 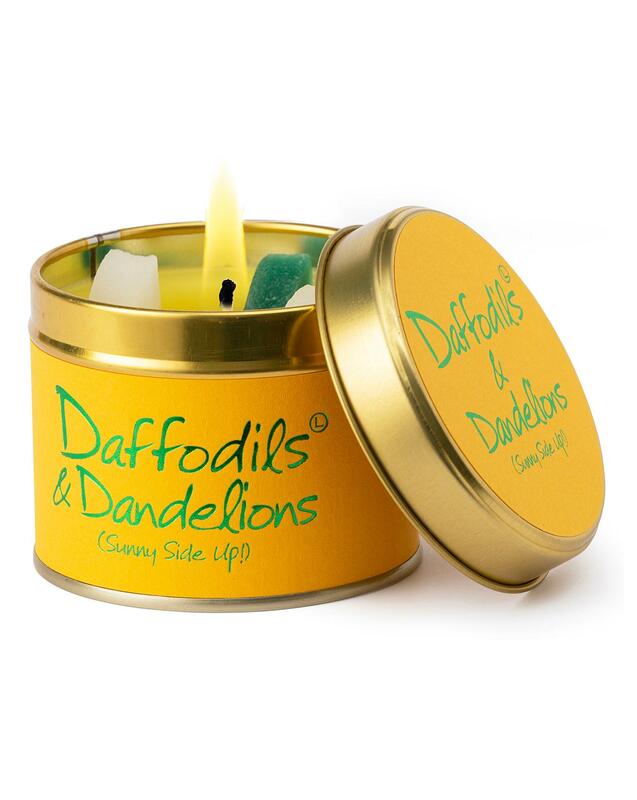 This scent is really worth trying, if you can avert your eyes from the garish yellow and green, super sunny labelling. The scent is one of our best floral varieties. Burn time up to 35 hours.